I’ve had this Dala horse since I was a child. Every horse is unique, painted by hand. I’m not finished with this one, as I realized it is not something that can be done in a day. The red paint really has to dry before adding the kurbits, especially the white ones. What I admire about these Dala horse painters is what a steady hand they need to make those kurbits in one confident stroke. You should paint on a horse…..that would be cool. But this is really neat too! Way to go, Mom! Congrats on being caught up! 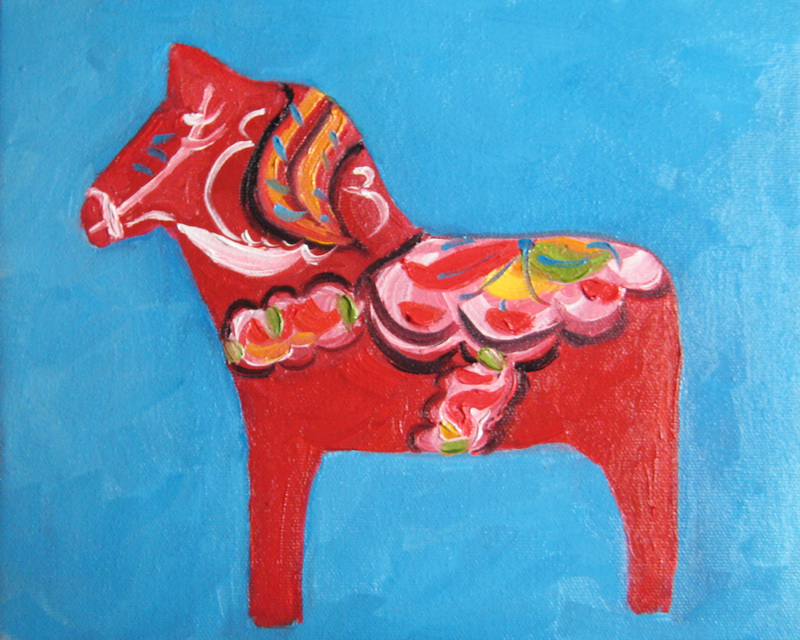 Great to see your Dala horse! I’m Swedish and I’ve been thinking of painting a white one of those that I have. You got me inspired and you really got the kurbits down!